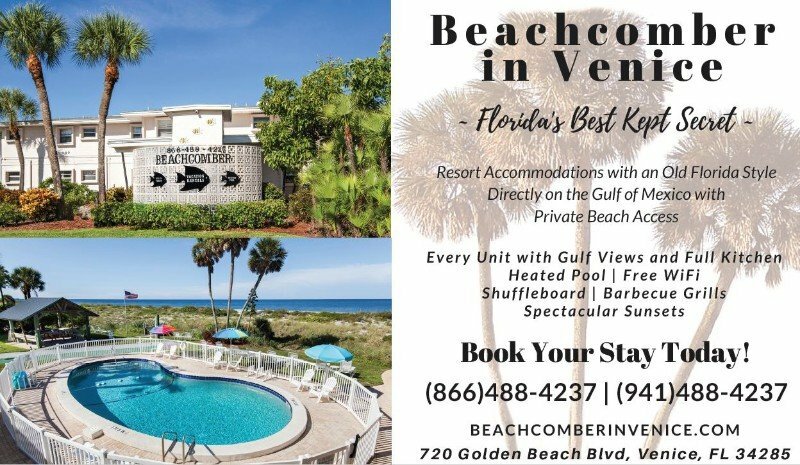 Welcome to the Beachcomber in Venice, one of the Gulf coast’s best kept secrets, and home to resort accommodations with an Old Florida style. Located on the Gulf of Mexico in Historic Venice Florida, the Beachcomber is a time capsule from the past. Walk for miles on pristine beaches, just feet from your front door. 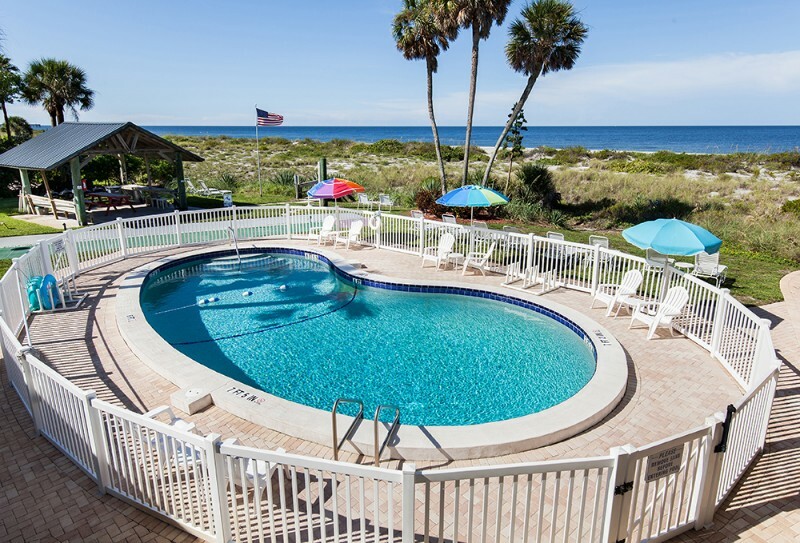 Comb for shark teeth and shells, view spectacular sunsets, and relax in the heated pool. Each of our 18 fully furnished units, which range in size from efficiently compact to spacious three bedroom, have full kitchens and expansive views of the Gulf of Mexico. Downtown Venice is a historic gem located just one mile from the Beachcomber, and full of eclectic shops, five-star restaurants, and much more. Designated as a Bicycle Friendly City, Venice is home to a series of parks, hiking and biking trails, golf courses, and fishing and boating opportunities. Just about anything you want to do is only a short walk, bike, or drive away. If you’re looking for a place to get away from it all, the Beachcomber in Venice is the perfect destination for an unspoiled beach retreat. For reservations call (866) 488-4237 or (941) 488-4237.